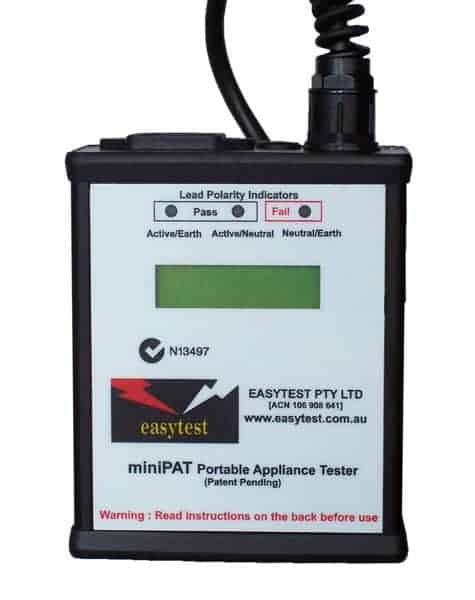 The easytest miniPAT is a small portable appliance tester that is ideal for tradesmen who carry lots of electrical appliances, tools and leads with them all the time. This is so simple to use, easy to carry in the tool box and tough enough to be stored in the back of the work vehicle along side the tools. 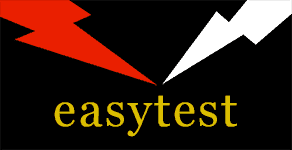 A small portable appliance tester that is ideal for tradesmen who carry lots of electrical appliances, tools and leads with them all the time. This is so simple to use, easy to carry in the tool box and tough enough to be stored in the back of the work vehicle alongside the tools. The easytest miniPAT comes with simple instructions on the rear label. 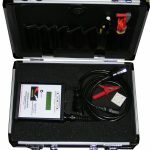 Portable appliance testers do not get any easier than this! As with any portable equipment the miniPAT should be used in conjunction with an RCD. No responsibility or warranty for damage to the equipment or the operator will be considered if this practice is not followed. All testing must include a thorough physical and visual inspection for mechanical damage.